You are here: Home / Drafts/Prospects / 2011 CFL Draft Preview: Possibilities for the Lions heading into Sunday. 2011 CFL Draft Preview: Possibilities for the Lions heading into Sunday. 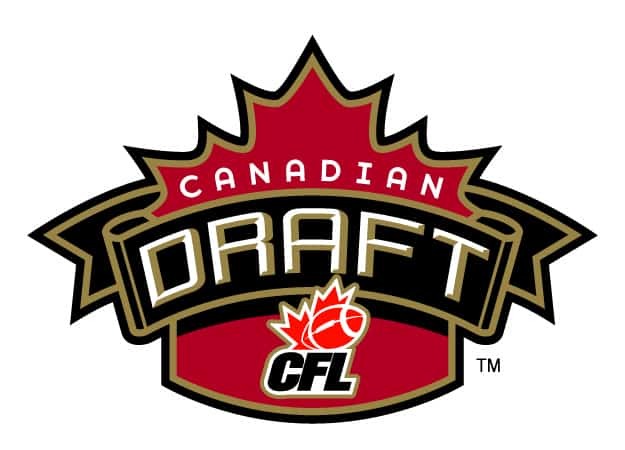 The last major event before training camp goes this Sunday when the CFL holds it’s annual Canadian College draft. TSN will broadcast the first two rounds of the draft, beginning at 9:30 a.m. PDT and we’ll be live blogging the draft starting with some pre draft chat at 9:00am. The BC Lions hold the 3rd overall pick in 5 of the 6 rounds. They do not have a 2nd round pick, surrendering that to the Calgary Stampeders when they acquired offensive lineman Jesse Newman last season. The club will be looking to add some depth to a young and emerging roster and will be aiming to have a better success rate in the draft than in recent years. Last year’s top pick Danny Watkins recently went in the first round of this year’s NFL to the Philadelphia Eagles while other recent picks have had to be released due to lack of roster space or plucked by other teams of practice rosters. That said, 2010 was a productive draft for the Lions. As CFL.ca’s Jim Mullin writes, a total of five drafted players suited up for the Lions last season. All will be back in Kamloops for training camp and looking to play a bigger role in 2011. Looking at the Lions biggest need you have to look at the receivers and in particular non-import depth at the position. The team has Paris Jackson, Shawn Gore, O’Neill Wilson, Akeem Foster and Matt Chapdelaine on the roster, and while they list Andrew Harris as a wide receiver he’s a running back at heart. Paris Jackson is coming off a sub par season after knee issues hampered his game, and the Lions are hoping for big things from Gore in his first full season with the team. Akeem Foster will also look to play a bigger role, but it’s plain to see the Lions have needs to address here, leading most to predict they will take a receiver with the 3rd overall pick. Calgary Dino’s Anthony Parker and Nathan Coehoorn are possibilities, as is Marco Iannuzzi out of Harvard. The Lions also need help on the defensive line. Cameron Wake left a void that may not be filled for quite some time. Canadian Brent Johnson returns but isn’t getting any younger, so the Lions could be in the market for a defensive lineman in the draft. Offensive line is always an option, but I can’t see the Lions taking one with the first pick unless Rice’s Scott Mitchell drops down to the Lions. They do need to start planning for a successor to Angus Reid and while Baylor’s Philip Blake may be intriguing, he’s also on the NFL radar for 2012 and it remains to be seen if BC is willing to take a chance on him like they did with Watkins last year. That uncertainty saw Blake drop in the final CFL rankings. To get an outside point of view, I asked two people whose opinion I really respect to provide as an outsiders look at the Lions draft needs. Kurt Ridley of Ridley Scouting provides scouting and player preparation services out of Airdrie, AB. He’s also the author of an extensive 2011 CFL Draft Guide (Available for download for $4.99) and has participated in CFL E-Camps in the past. Jack Bedell writes an Eye on the East column for BCLionsDen.ca and also writes for the Montreal Alouettes web site. Each of them had some thoughts on what the Lions might do on Sunday. Interesting results from last year’s grab of college players. Danny Watkins is out of the picture and has been much talked about so we won’t dig into that. Shawn Gore had a run with the Packers that likely sent him to Vancouver a little more polished than straight out of Bishop’s. From testing highlight reel to a contributor in the offense is what is expected of him. Nate Binder has bounced around the CFL since his release in BC. Joash Gesse will move into a learning role behind James Yurichuk, a former first round pick, who extended his contract this spring. Akeem Foster is a guy who will need to make strides this year but has the skill set to do it. Everyone knows the Henoc Muamba’s, Anthony Parker’s, and Matt O’Donnell’s of the Draft Class. I would like to bring up some names that you might have heard about and forgot or maybe never knew. Picking the first 4 is easy, picking the last 4 of the day is much, much harder. BC enters the weekend with 5 picks. Their first chance to select comes in the first round at third overall. From there they sit back until the third round and select nineteenth overall. Their last three picks come at 26, 34, and 42. Don’t worry if your math is off because some media outlets count the Calgary forfeited pick as being #22 while others bump #22 down to Toronto. Hope they decide one year which way will become the standard. I wouldn’t be surprised to see Philip Blake (Baylor, C/LT) go to the West Coast after their time spent scouting Danny Watkins. Building depth for the future and being able to work with it is a key there. Moe Petrus (UConn, C) could be another futures pick that may or may not draw NFL interest next year. Currently he is ranked in the top ten for centers, one spot ahead of Blake, but the average NFL draft has only 5 or so selected. Alex Krausnick-Groh (Calgary, C) is a three year starter with the Dinos and could draw interest. Jadon Wagner (BYU, LB) is another one that could fit the profile in BC. I know some BC fans will go “not another LB” but to create the competition it would make sense. Yurichuk, Gesse and Wagner could turn into a nice trio of defenders. Craig Butler (Western Ontario, S) could take over the empty spot left by the Tad Crawford departure and was an active ball hawk in the OUA. He should be available when BC returns to the table in the 4th. Jeff Hecht (Saint Mary’s, S) could be another second half of the draft target. He is a tweener that played as a linebacker for the majority of his stint with the Huskies but projects more as a safety in the CFL. Another option could be Michael Carter (Maryland, DB). He should be a later round pick that doesn’t come with a lot of stats in tow but has speed to burn and could make an impact on special teams early. Michael put up great numbers at the JuCo level and timed at a 4.33 at the JuCo combine before ending up at Maryland. One fact flying under the radar of late is just how young, fast, and aggressive the Lions’ have gotten on special teams and defence the last couple of seasons. You could really see some of that roster overhaul coming to fruition down the stretch last season. As B.C. began to blend all that athleticism with game experience on the back nine of their schedule, the wins started to stack up, and the team made a heck of a playoff run after a dismal start. I don’t see any reason for the Lions to back off their recent draft strategies this Sunday when they’re on the board. With one Muamba already on the roster, Safety Cauchy, you have to figure St. FX LB Henoc Muamba would be a prime pick for B.C. if he’s still on the board in the third spot when they’re on the clock. He’d certainly bring a high-motor and textbook aggression to the Lions’ D and teams. Bishop’s Junior Turner might be another possibility in the same vein for B.C. Turner showed off some of the same kind of speed his brother, Argos’ WR Steven Turner, possesses during his e-camp testing. He’d be an impact player on kick coverages right away, and might work himself into the rush end rotation pretty quickly a la Saskatchewan’s Shomari Williams last season. And since it’s the CFL Canadian Draft, you can’t overlook the prospect of the Lions going o-line with their early picks. Several quality players should be available in the first two rounds if B.C. were to go that way, Baylor’s Phil Blake and Tulsa’s Tyler Holmes to name a couple. Jim Mullin (CFL.ca) – Lions on a run of strong CFL drafts. Lowell Ullrich (The Province) – Lions may take a receiver with the 3rd overall pick. Mike Beamish (Vancouver Sun) – Will it be all in the family for Lions and CFL draft star prospect Henoc Muamba?